Scott’s Finishing Touch, Inc. offers the best values for car wash and auto detailing services in Avon, Indiana without sacrificing quality! Our team is highly skilled and knowledgeable on the proper practices necessary for optimal detailing and washing services for all types of vehicles. They are all certified and experienced to service cars, trucks, RVs, boats, motorcycles, jet skis, and more! We offer a variety of car care packages that range from a simple car wash to extensive detailing, interior and exterior. Along with car wash and detailing services, we also provide paint chip, dent, and scratch repair, as well as, sap, tar, and mud removal. 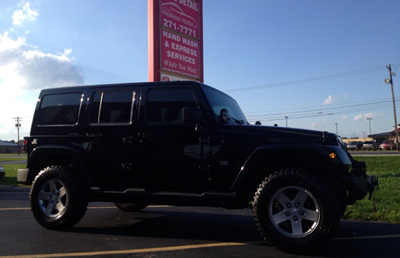 Call us at 317-271-7771 for a free estimate on our car wash and auto detailing services in Avon, Indiana. For quality auto detailing services in Avon, Indiana, look no further than Scott’s Finishing Touch, Inc. We are a locally owned and operated car wash and detailing business that is committed to providing the highest quality services in town with 100% satisfaction guaranteed! We offer wash and detailing packages to fit anyone’s’ budget, as well as, free estimates, DIY advice, and more. Call us today at 317-271-7771 to discuss a customized auto detailing package just for you, in Avon, IN.